Don’t be fooled by the title into thinking data collected from hunter observations is useful to only biologists, as it can be pertinent information for hunters as well! For years serious deer hunters have kept written journals where they recorded hunting observations and notes to reference for future hunting decisions. It seems that this diligence in hunting observation data recording has waned over recent years. This is a shame because this data is very important for influencing doe harvest goals, habitat improvement projects, and future hunting strategy! Below I will briefly cover the reasons that you should collect hunter observation data and how you can do this more easily than ever! Keeping track of deer sightings can yield great insight into dynamics of your deer herd. By observing a steady decrease in per hour observed from stands, managers can infer that deer numbers are declining and thus change harvest strategies to either increase numbers. The opposite is also true. Data may indicate a low fawn:doe ratio, which could be another indicator that deer numbers are steady or in danger of decreasing and that doe harvest should be decreased. Or, a low buck:doe ratio may indicate that there are far too many does and their numbers should be decreased. All of these are prime examples of how hunter observation data can be used to influence management decisions. It is also worth noting that often state agencies will compile hunter observation data from hundreds of hunters per a year to develop a clear understanding of deer herd trends at a macro scale. The value of hunter observation data cannot be over-emphasized as a means to influence biological management decisions. While data collection is usually only thought of as a tool for biologists and land managers, the value of the data collected can be used to influence hunting decisions. Annually reviewing records of all your deer observations from a stand can open your eyes to trends that you might have otherwise missed. You may noticed that every time you sat this stand on a north wind you got busted by deer, or every time you hunted it after a cold front moved through you saw mature bucks. Regardless, these trends can go unnoticed in the heat of a long and tiring hunting season, but taking the time to look at them afterward may just surprise you! Besides the practical use for hunter observations described below, I find it downright fun to know all of the nerdy statistical facts from my previous hunting seasons. I like to see how many days I hunted, how many of those hunts were morning or evening sits, which properties yielded the most deer, and the list goes on. I love seeing these numbers, comparing them to years past, and trying to work harder in future years to raise the number of hunts or mature buck sightings I experience in a year. (Above) The user friendly interface of the MSU Deer Hunt App makes recording observations from the stand simple and straightforward. It has never been easier to record your hunting observations right from the stand, as now this data can be recorded right on your smartphone! The easiest way to do this is with the MSU Deer Hunt App. I may be a bit biased, but this is honestly the most complete and no-nonsense way to record your hunting observation data. The app allows you to set up your hunting property, mark stands on the property, and share these stands with friends. Most importantly, it allows you to record the time you spend in a tree along with deer observations and harvest data. To make the deal sweeter, you can allow others hunting on your property to also upload observation data and compile all of your data in one location! 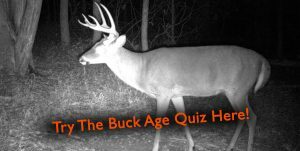 At the end of the season the app generates a really cool report with all pertinent information like deer observed per hour, buck:doe ratio, and much more. If you prefer a more DIY style of observation records, you can also record you observations in a spreadsheet. I have done this in the past using Google Sheets which allowed me to upload observations from the treestands and also access the spreadsheet from my laptop at home. At the end of the season I crunched all of the numbers and was pretty easily able to see important data between them all. This method is not for everyone, but could be useful if you want your data in a spreadsheet format for future analysis. If you have never collected observation data in the past, it is not too late to begin now! I promise that after a season or two of collecting this data you will be very happy you did and slightly addicted to looking at your hunt statistics and watching these numbers change. Whether you do it to inform management decisions or you just like using past hunt data to improve your strategy, hunter observation data can be very valuable to you!